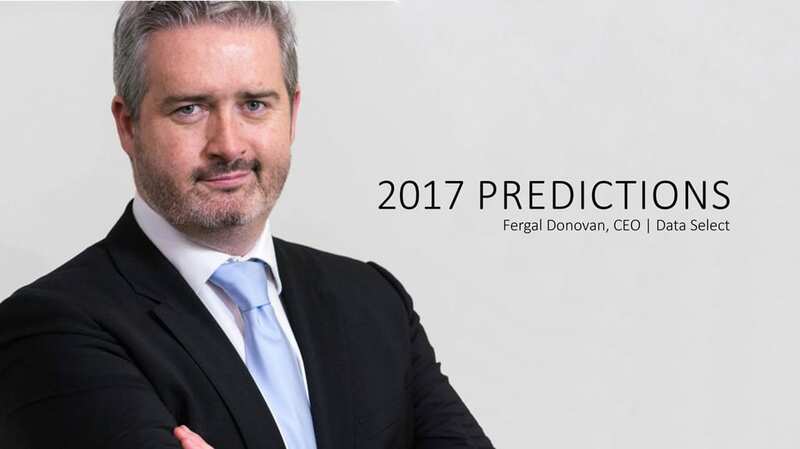 Data Select CEO Fergal Donovan tells Mobile News his thoughts on what might happen this year, including new trends in 2016 accelerating in 2017, and greater adoption of mobile payments. The year will begin quickly with brands launching devices with greater battery life, faster processing power, better screens and quicker charging. We also expect to see many of the trends that established themselves in 2016, really accelerate during 2017. This will include the proliferation of technology such as VR and 360 degree video down through the price points, and we look forward to the continued convergence of the worlds of VR and AR. We also expect new brands such as Nokia to enter the market and add to the growing pressure on the larger brands. In terms of applications we expect to see a greater adoption of mobile payments as consumers become more comfortable with using mobile technology to pay. We also expect to see more adoption of connected products in the home from heating to kitchen based items that will control a lot more aspects of our daily life. Parallel product categories such as drones will also grow throughout 2017 as market penetration grows, volumes increase and retail pricing falls. Smart clothing and wearable technology, particularly in the health and sports sectors will become more prevalent as we continue our obsession with steps, heart rates and calorie intake.